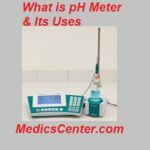 Last time we talked about the use of Photoelectric Colorimeter. Spectrophotometer works almost on the same principle and way but there are of course some variations. A spectrophotometer is used in the process of Spectrophotometry. In this test, we measure the intensity of light depending on the wavelength of different waves. 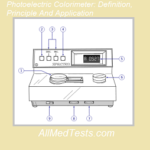 Most would assume that it is nothing different from Colorimeter but there is a huge difference. This test is even more general than the other one and you don’t deal with invisible light waves here. When we will talk about the working principle and its use, then you are going to understand it well. Today, we are going to talk about Spectrophotometer, it working principle, use and some applications in the field of sciences. Read each and every point and you will be easily able to use this device in your science class. 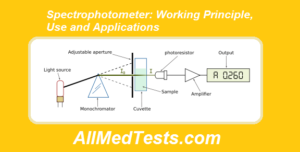 Now you are going to learn about the working principle of the Spectrophotometer. In this device, there are different photometers who have the ability to measure the intensity of any light wave. These waves have different wavelengths with their color as a function. Now this device would measure the intensity of each light wave and by comparing them we find different things. One thing which must be kept in mind that in this test, we then also pass these layers through the fluid. But in the previous test we made measurements upon, how far could the rays travel in medium? In this test, we measure the reflection of these ways and upon that, we make different results. Let us know talk about how to use this device named Spectrophotometer in different tests. Here is an easy step by step guide to using Spectrophotometer in your lab. The first step will be turning the device on and let it heat for some time. Heating the device ensures the better performance during the experiment. A good think about the device is that you can set up the desired wavelength. Since it is necessary for the test, so do it first. Transmittance must be kept at zero in the beginning and you can do it by using the dial built on the left. Apparatus must be kept clean. You will need to wipe down the cuvette from the outside. Do that by wiping it with distilled water. Then put the cuvette in the compartment of the cell. In the sixth step, the transmittance is needed to be at 100% and you can do by doing the opposite of 3rd step. Just use the dial to the right and raise the transmittance up to 100%. Now instead of the blank, put the cuvette in the cell compartment which contains the sample. Now everything is set and ready to measure the absorbance and transmittance. Take the readings carefully and your experiment must be a successful one. There are more applications of Spectrophotometer than you can think of. 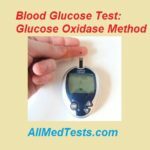 It is one of the most used devices in the field of biochemistry. 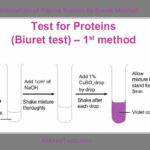 It is being used in many experiments which involved DNA, RNA, and protein isolation. In the working principle, we talked about the absorbance of the uncolored compound into the colored compound which is the main use of this device. 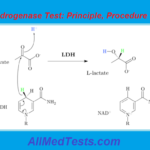 This test is used in many other findings and we need to separate articles on the procedures of each test. So, this was all from the Spectrophotometer, its working principle, use, and applications. If this article was helpful then let us know in the comments section. Also, ask any question related to the device in the given comments section below. 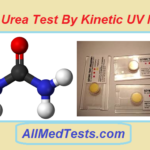 Keep visiting our website All Med Tests for more.